Luís de Freitas-Branco (1890-1955) Paraísos Artificiais 1910, a symphonic poem inspired by Thomas de Quincey's Confessions of an English Opium Eater. Swirling lines flow, lit by harps. shapes shifting in and out of focus as if shrouded by smoke. A woodwind theme arises, seductive and sweet like narcotic perfume. The strings surge, breathing expansively. The andante section sparkles with single note flurries (plucked strings, like lutes) with just a hint of exotic temple bells. But danger intrudes. Darker themes swell up, angular chords, haunted by brooding, somnolent figures. Nonethelss the flute melody meanders on, poised and unpertured by the horn calls of alarm, and the piece dissolves in relative calm. It's a sophisticated work, as witty as it is subtle, an imaginative work for a composer aged just 19, especially when you consider that Debussy La Mer had premiered barely five years before, and the innovations of the early 20th century were still to come. .
Freitas-Branco canme from an aristocratic fasmily, wealthy enough that he and his brother Pedro, who became Portgal's most famous conductor, could study music in Paris and Berlin. But in 1908, the King of Portugal and his heir were assassinated, throwing the country into turmoil. Freitas-Branco had to find his identity in new territory, like so many others in Europe during that period, often searching exotic forms for a way ahead. Freitas-Branco had an advantage in that his country had five hundred years of non-European form to reference. 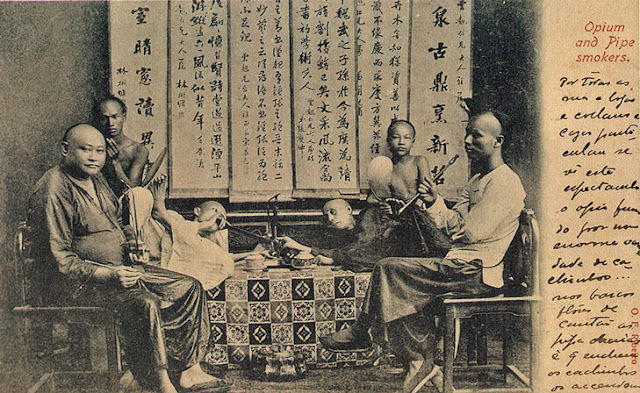 He would have known of the Portuguese Orientalists such as Camillo Pessanha, who lived in Macau, wrote poems about Chinese music and smoked opium on a regular basis (when modernized Chinese disdained it). Many years ago, the specialist label Portugalsom Strauss carried a catalogue of several hundred titles, ranging from early music and baroque to mid 20th century works. Much of this work is equal to much that was happening elsewhere in Euriope, so it’s a real shame it's hardly knoiwn outside Portugal. Both Luís and Pedro de Freitas-Branco were represented by lots of different discs. Naxos has relicensed a small fraction of the Portugalsom catalogiue, but it's high time that more of it were made available, and in better recordings and performance. Lucky for me, I was working then where I could accumulate a few, though I didn't have the money or time to get in as deeply as I wished.